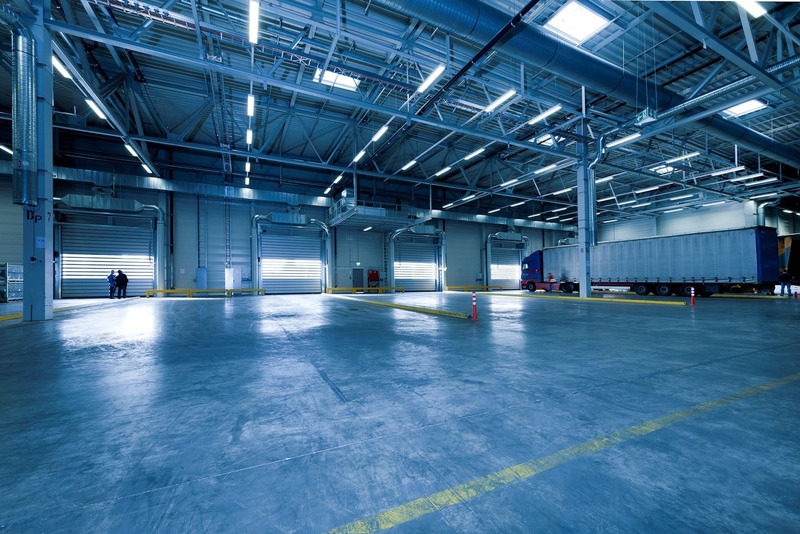 When you need to clean large floor areas, Depureco have a range of solutions to make it quicker and easier. Our industrial floor sweepers are easy to operate, and cover large areas in a short amount of time. They provide dust-free removal of debris and dirt from floors, leaving them clean and safe. 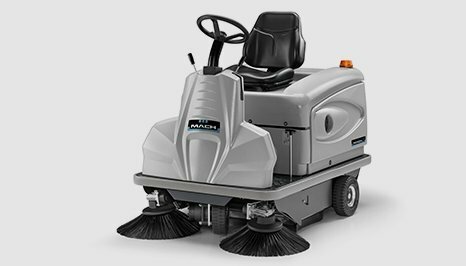 Whether it’s an industrial area or an environment such as a shopping centre, these ride-on sweepers are ideal for all sorts of applications. 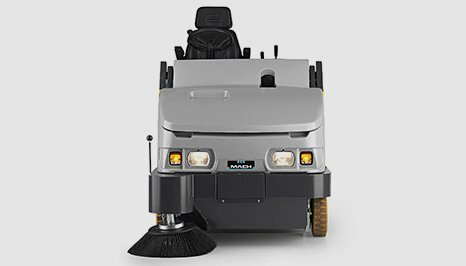 Based in Telford, Depureco supply and service a complete range of pedestrian floor sweepers suitable for a variety of on site floor cleaning operations. 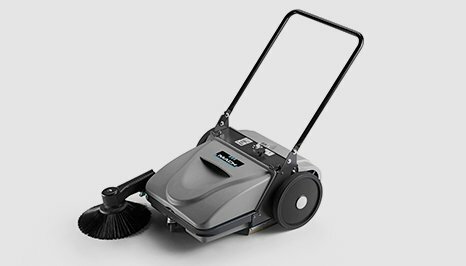 Depureco’s Mach range of sweepers are ideal for the quick dust free removal of dust and debris from floors and easily maintaining a clean and safe floor area. When you have a number of staff needing to use these machines, it’s important that they are easy to use. We have designed our industrial floor sweeper to be user friendly, and provide on-site training, ensuring that staff can use the machinery correctly and follow the safety procedures. You might be wondering what the right product is for your needs, and Depureco offer a wide range of different floor sweepers for industrial environments. 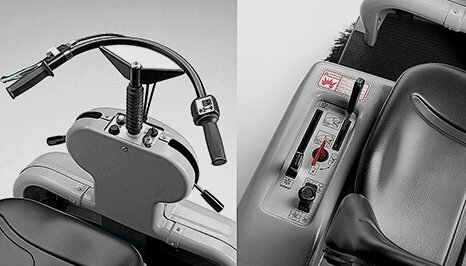 Our team can help you pick the right machine that’s the most cost-effective option, and select the right accessories to suit your specific application. These machines are used extensively in distribution & logistic centres and a variety of production and manufacturing areas, anywhere there is a dust problem Depureco can assist. Depureco are committed to supplying the correct floor sweeping machinery to provide a long and cost effective service life. All units are supplied with on site operator training and a range of accessories to suit your particular requirements. 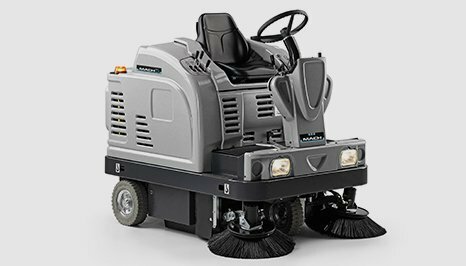 If you have a large area to cover such as a warehouse or distribution centre, our ride-on style of industrial sweepers are ideal. Preventing operator fatigue, these easy to use sweepers are operated with the push of a button, and cover huge areas in a short space of time. If you have a 24-hour operation, or one with a limited time to clean, they’re perfect for getting the job done quickly. Depureco also offer a range of pedestrian sweepers, which are smaller and ideal for shops, restaurants, and medium-sized spaces. 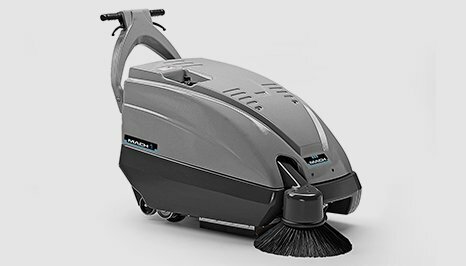 These floor sweepers make light work of dirt, and are easy to use. Purchase through Depureco, and you’ll enjoy excellent aftersales care on all our products, as well as manufacturer warranties and technical support, so you can be sure of reliability. With a wide range of industrial cleaning equipment available, call Depureco’s knowledgeable team to find the right products. Call today on 01952 588 881, or e-mail enquiries@depureco.co.uk and we will get back to you.